The rapid growth and development of Wilmington, North Carolina has contributed to the loss of valuable urban forest/trees. With the city codes pertaining to tree preservation not being updated since the 1980s & 1990s and not likely to be updates for several years we need to have the issue of urban forest preservation addressed now. As a coastal city subject to hurricanes (Hurricane Florence) and flooding the preservation of our urban forest is a key solution to combating such natural disasters. This letter concerns the impact of rapid growth and development on the Wilmington area’s existing trees, and the loss of trees as a valuable environmental asset and natural habitat. The mission of the Alliance for Cape Fear Trees, a program of the non-profit Renaissance Wilmington Foundation, is to preserve, protect, and plant trees to enhance the quality of life for present and future generations in the Greater Wilmington area. As you know, many in our community are deeply concerned about the threat to trees and their natural habitats posed by current and future development plans, especially in the aftermath of Hurricane Florence. Greater tree protection and preservation is essential, as trees provide both aesthetic and economic value to the community. A healthy tree canopy provides an improved sense of place and enhances quality of life for our residents. In a healthy environment, buildings and roads are balanced and complimented by nature, attracting both tourists and appropriate businesses to the area. In our current process, increased population and visitation lead to more development, and additional tree loss. This process is not helping us become the community we all envision. Trees and the natural environment can be an instrumental part of our economic success. Environmentally, trees improve soil quality and bind it together. They aid in the creation and protection of critical wetland environments and related fisheries. As seen during Hurricane Florence, stands of trees deflect wind in a way that structures and individual trees do not. Trees remove water from the ground, assisting with storm water abatement and flood protection. Without trees, we lose habitats for animals and plants - some rare and specific to our area - while creating problems such as storm water accumulation/flooding from surface runoff. Trees also provide shade and protection from winds, saving energy costs. Our zoning and development site plan approval processes could be more stringently written to require a higher percentage of canopy trees retained on developed property. Clear-cutting, as seen at Barclay Pointe, Aspen Heights, sundry storage facilities, and the future Eastwood and Military Cutoff developments must not be allowed. Instead, developers could be better incentivized to retain trees in place and plant additional after construction. Specifying the planting of certain types of native trees could help increase our urban canopy. Smaller and understory trees such as crape myrtles should not be replacements for live oaks or tall pine trees. In addition, our city’s enforcement of transgressions should have teeth – real consequences for non-compliance. Offenders should be charged (not fined) appropriately for the replacement value of trees cut, so the City could use those funds to replace trees lost. We also continue to advocate for an ongoing increase of funds to the City’s tree planting and maintenance program to build our important natural infrastructure. More green medians, including trees, within infrastructure plans would offset a portion of recent losses due to Hurricane Florence. We suggest that the City might move forward with a green-space bond that would be earmarked for replacement of trees in public spaces and their subsequent maintenance. Proper annual maintenance will ensure that we do not lose our trees so easily to storms in the future. We also need more education for residents, especially newcomers, regarding the value and correct selection/placement of trees. After storms pass, fear of potential damage in a future storm results in many residents unnecessarily removing trees from their property. Such an educational program could be included in a proposal. 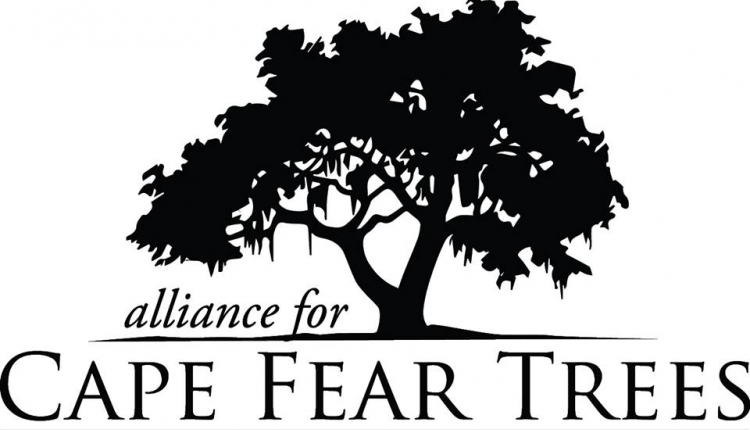 The Alliance for Cape Fear Trees and other environmental groups are aware of the headwinds of development pressure and population growth. Landowners want positive returns from their property investment, and our governments need the additional revenues. However, preserving tree canopies is not antithetical to growth. Trees enhance properties, increasing their value. In recent years, the City Council has made great strides in improving our community. We deeply appreciate your work and ask that you continue that progress. 1)	Stronger tree protection ordinances for both residential and business locations. 2)	Better incentivize developers to retain trees and plant more after construction. 3)	Ongoing increase in funds for tree planting and maintenance to build our important natural infrastructure. 5)	Better balance between environmental protection and the rapid, unchecked growth we currently see. The Preservation of Wilmington, North Carolina's Urban Forest petition to Wilmington City Council, North Carolina was written by Sherry O'Daniell and is in the category Environment at GoPetition.